No wonder I am a sucker for products that contain coconut. At the moment I have a little arsenal of beauty and food products I use on a regular basis. 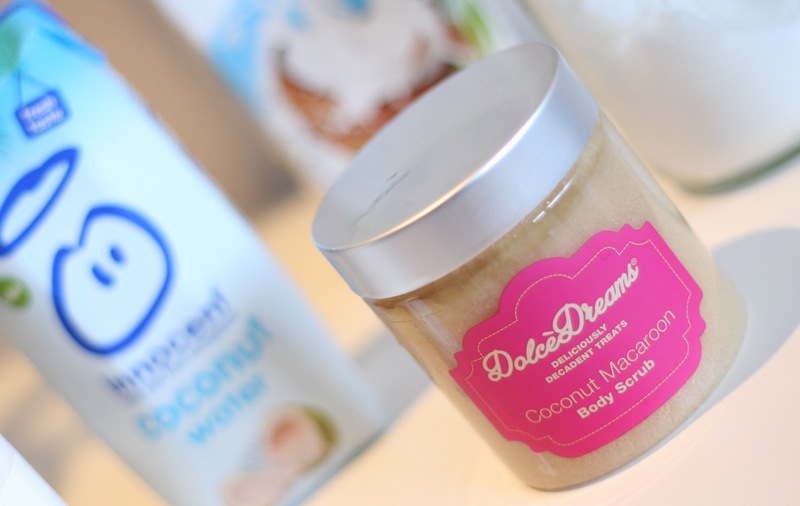 Fighting the beauty corner, I have the lovely Fake Bake Beauty Dolce Dream Coconut Macaroon body scrub. Honestly, it’s good enough to eat. Plus it’s as a fabulous grittiness, which provides fabulous exfoliation and amazingly soft skin, and a great product for tan prep. 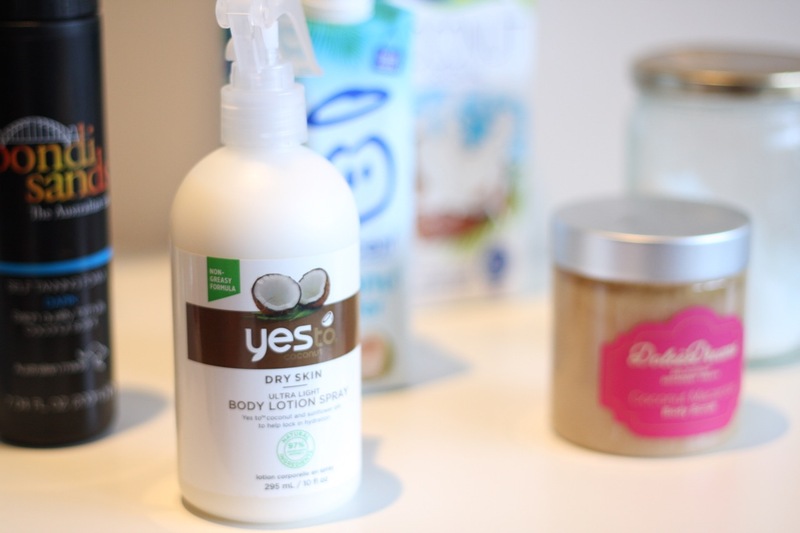 The Yes To Coconut body lotion is great. A light lotion that sinks immediately on the skin but at the same time gives deep moisture and no grease. Oh, did I mention that coconut smell?! 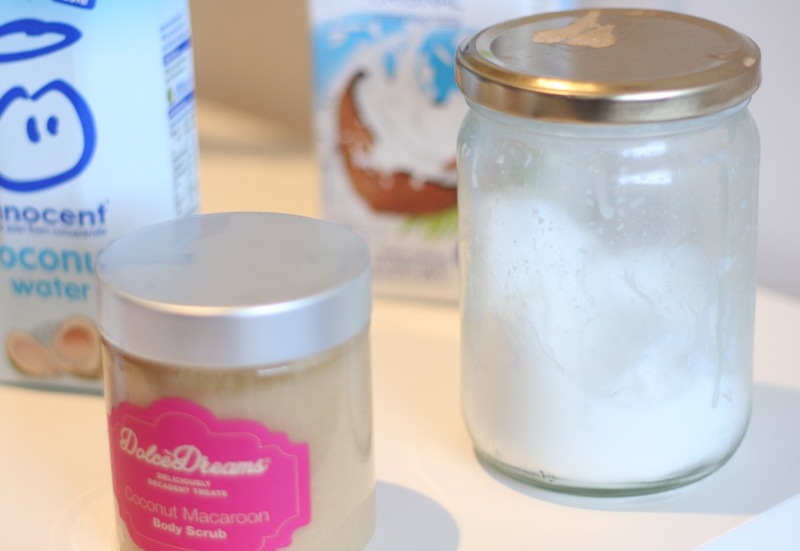 Coconut oil is crosses over the realm of beauty and food. I’ve been using Chi Coconut Oil, mainly for cooking and as a spread. It also makes a great conditioner for cuticles and nails, as well as hair and eyelashes. Look out for organic, virgin and raw for real results. On the food side, I just love coconut water. It’s thirst-quenching, full of nutrients and tastes amazing! 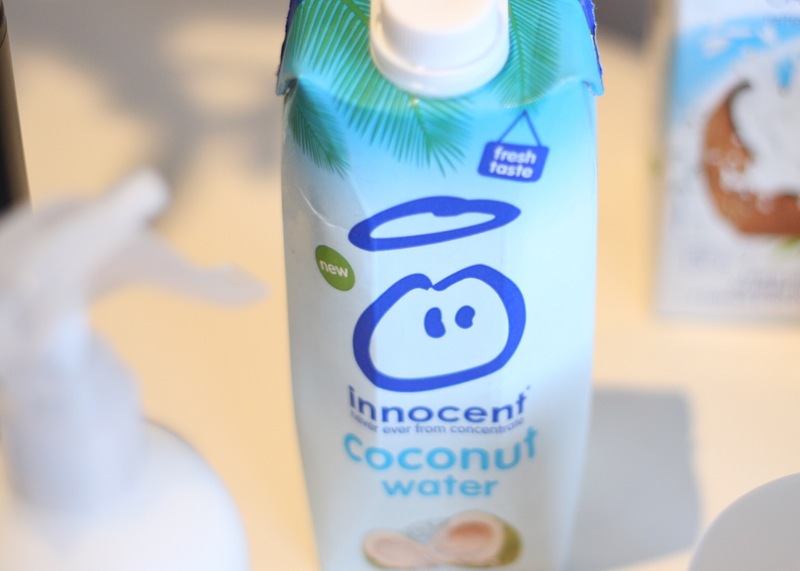 Innocent has just launched their very own coconut water and I learnt to make amazing mocktails with it, which I had never tried before. It’s also amazing in green juices, instead of water; it is super refreshing and full of electrolytes. Coconut milk has to be thing of the gods, I swear. I’ve been having it on my coffee, tea (I discovered the amazing T2 Terrific Toffee) and as a snack. Amazing with chia to create a pudding. Double yum. 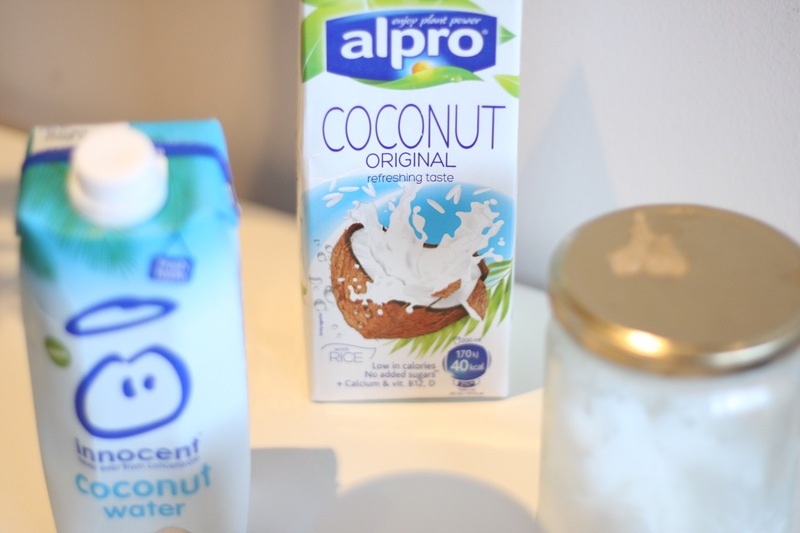 Coconut milk is also fabulous, especially when making oriental soups and also to make coconut yoghurt – I’ll be tying that very soon! Dissecated coconut has been a favourite for years, I love adding it to yoghurt, breakfast pots and to my protein muffins. I even popped the Bondi Sands tan to the list as it smells of coconuts! That’s how obsessed I am! Not to mention fresh green coconuts on the beach… What a dream! Do you like the tropical twist goodness of coconuts? Or not a fan? This post contains a mix of samples and products I bought myself. « Need a quick tan job? HeShi to the rescue! Love coconut products too! 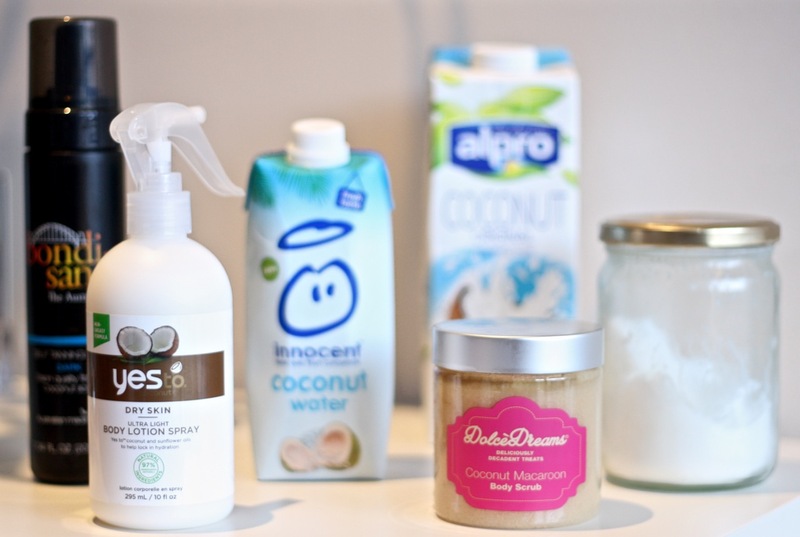 I just picked up some coconut and coconut water hair masque from Superdrug and it smells divine! Really tempted with that body scrub too!